Since Nokia announced its partnership with Microsoft to develop terminals under Windows Phone 7, the Finnish company almost has become the new Schroedinger cat. Media, blogs and misunderstandings of all kinds have poured rivers of ink and pixels theorizing about whether that cat named Nokia was live dead, without that nobody dared to open the box in which coexisted with a poisonous gas called a unpredictable subatomic particle called Meego and Symbian. We have just returned from an event in which heads of the Finnish company have finally opened the box to show us the cat in Schroedinger-Nokia, a Pussycat Finnish which, although somewhat undernourished, is very much alive and as the saying goes, have sought that, three feet. Those three feet are called Windows Phone 7, Meego and Symbian, and so is the future that awaits them in the next three or perhaps four years. The first foot of the cat is, as no, Windows Phone 7. In Nokia they make it very clear, Microsoft’s operating system will be the only platform that life to the new terminals Nokia in the smartphone segment. To know at the moment, the Nokia E7 will be the latest smartphone to take Symbian 3 installed. Soon we will offer an analysis of the last of the Mohicans that, all told, paints quite well. The bad news is that the first smartphone with Windows Phone 7 Nokia nor will see it until the end of this year or, more probably, early 2012. The reason for this delay is simple. Nokia has a long job ahead to create the new Windows Phone 7 ecosystem by combining (sic) ‘ the best of each House & #8217;. Each company will contribute its strong points. Microsoft will put Xbox Live and its powerful advertising platform. Nokia will put its maps from Navteq, his vast experience in manufacture of terminals and his good relationship with the operators. The Market of Microsoft will merge partially with OVI content. Mix all that is not something that is done in a day. In this cocktail, Microsoft you have the full and absolute power as to decide the rhythm and distribution of software updates, but there is an exception. Nokia will have full access to the source code of Windows Phone 7 and its idea is to develop it on their own. This does not mean it will be a typical of Nokia Windows Phone 7, but if the company shall be entitled to some of its terminals to enjoy from applications and exclusive enhancements, at least temporarily. These improvements designed by Nokia will be extensible to other terminals when Microsoft released them in the corresponding update. Taking into account that, by what we know so far, Microsoft will update your software more or less every six months, if Nokia is mounting well you have in your hand a powerful tool to differentiate themselves from other Windows Phone handsets. The platform for development of these improvements will be based exclusively on Microsoft tools, i.e., .NET, XNA and Silverlight. Any other language or code as Qt is out of Windows Phone 7. Another important detail is that, except for the new typography Nokia Pure and perhaps some aesthetic detail, Nokia is not permitted to bring interface layer or any personalization. Microsoft still driving that issue with an iron fist, which also implies that, if you were waiting for a custom Windows Phone 7 with, for example, HTC Sense, better forget it, at least for a long time. Physically, the Nokia with Windows Phone 7 smartphone will be the three buttons own operating system from Microsoft, including the menu with the logo of the Redmond. The images that leaked recently with terminals Nokia designs are not real, there and it is likely not going to never materialize. 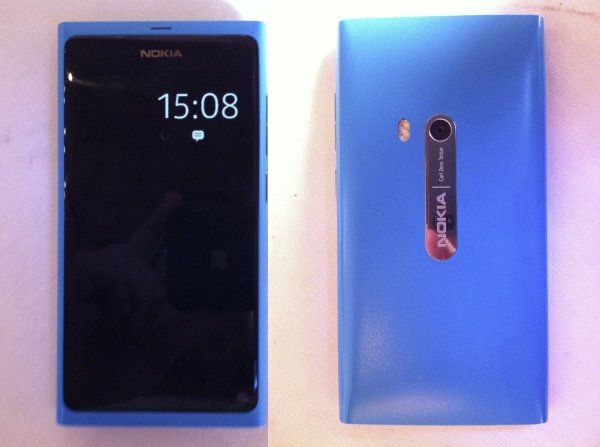 It is likely that we can see some filtering on the new Nokia Windows phone devices beginning in fall of this year. Here we close the first part of this special on the future of Nokia at the hands of perpetrators. That is all that we have been able to count on the referent to Windows Phone 7. Now it is the turn to the other two feet of Finnish cat, which are none other than Symbian and Meego, but that will be in the next post.